Bones form the foundation of your body. 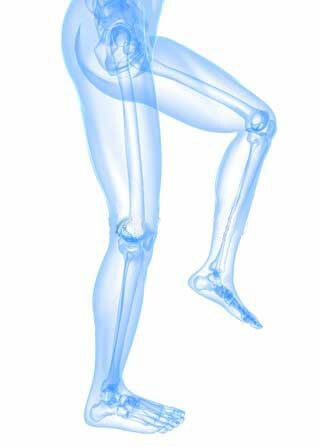 Your organs, your muscles, your tendons are all built upon the bony foundation that is your skeleton. At the same time, you have to move around and your bones have to slide past one another. Think of your knee as a door hinge and your leg as the door itself. If you forget to oil the hinge, what happens? The door starts to squeak as metal rubs against metal, causing damage to the hinge. The squeaking will also drive you crazy! Joint problems affect many people. Without an adequate supply of essential nutrients, joint tissue can wear prematurely, leading to extreme pain and eventually, osteoarthritis. Mendamine™ has the ingredients to maintain optimal joint health. It also has ingredients to help those who already have joint problems. As your cartilage wears out, the joints start hurting. They get inflammed and irritated. Mendamine™ has natural ingredients that help with inflammation. Mendamine™ is a revolutionary bone and joint supplement that combines all the ingredients that maintain optimum bone and joint health. Glucosamine and chondroitin chondroprotective agents that work together synergistically to help your joints. Phytosterols are plant compounds that help reduce inflammation. A 100mg daily dose is in the Mendamine™ formula. A 250mg daily dose of a high-quality Boswellian serrata extract may help promote a healthier inflammation response and greater joint comfort. Consuming cartilage provides nutrients used to support cartilage health. In between your joints is a special lubricating fluid called synovial fluid. One of the components of this fluid is hyaluronic acid. © Copyright 2019 Mendamine 25™. Education Zone by Rara Theme. Powered by WordPress.